The letter O featured in this Roberto Coin necklace, part of the designer's Cento collection, stands for opulence! Crafted in 18K rose gold, the high-polish shape is topped with a single 100-facet Cento diamond. 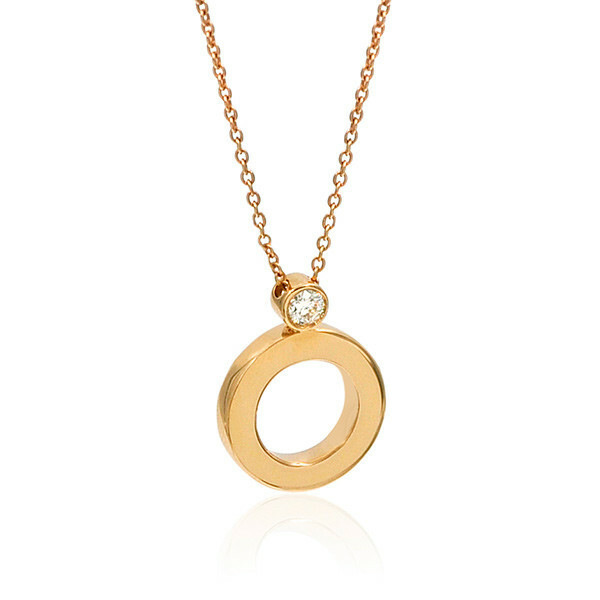 The pendant is supported on a precious metal chain that adjusts between 16" and 18". This necklace from Roberto Coin may be miniature in size, but it makes a maximum impact!